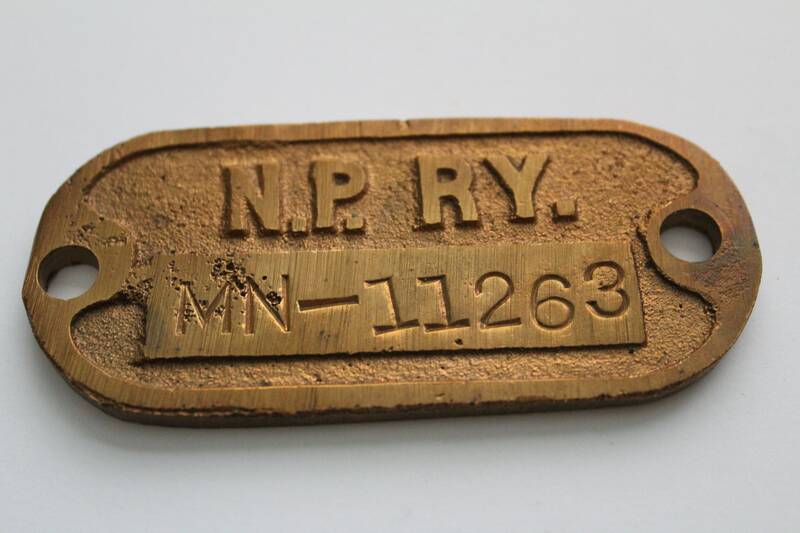 Wonderful Railroad Memorabilia from Northern Pacific Railway. 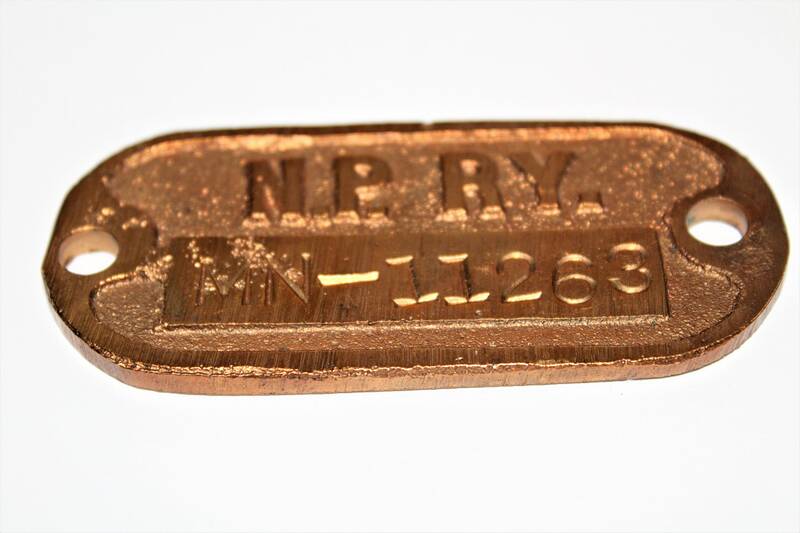 This property tag is from the Minnesota Rail yard with serial # MN-11263. 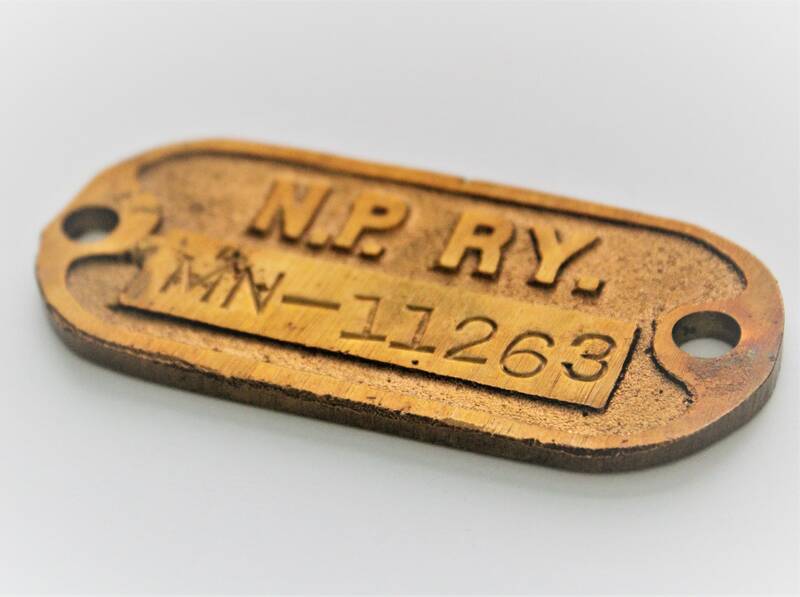 The Minnesota Yard was located in St. Paul, Minnesota. Condition; Very Good used condition with light scuffs. 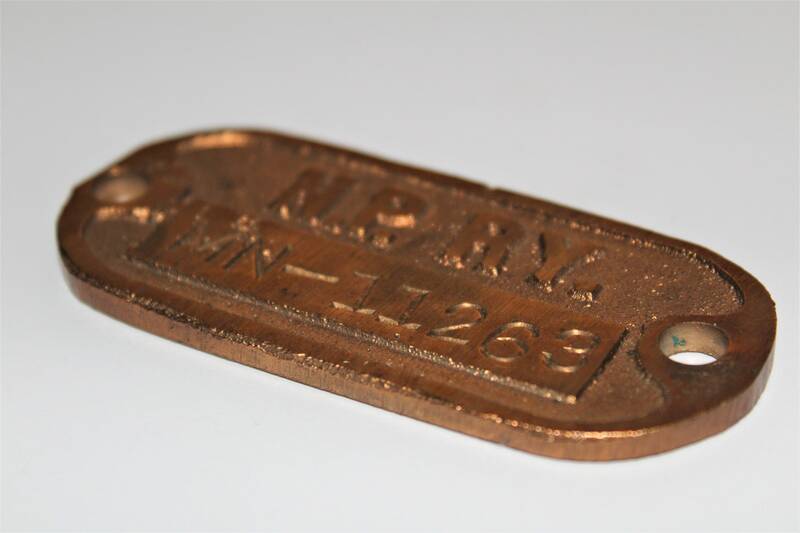 To see more of our wonderful Antique and Vintage Industrial and Steampunk items click the link below to go to our Etsy store.